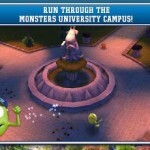 Celebrate the launch of Disney•Pixar’s film “Monsters University” with this monstrous app! 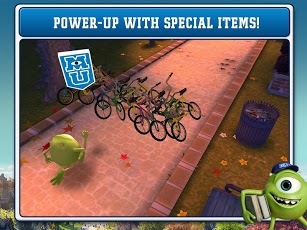 Join Monsters University freshman Mike Wazowski on his first day of college, and catch Archie the Scare Pig! 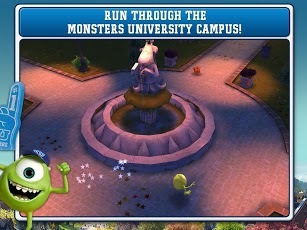 Get a hold of the squealing mascot of Monsters University’s rival school, Fear Tech, in this FREE, thrilling mini game based on the film. 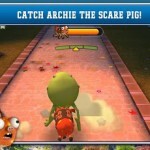 · Run as Mike, and find a way to grab Archie the Scare Pig and tire him out! · Chase after Archie in 10 exciting stages! 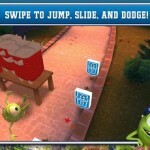 · Swipe to jump, slide, and dodge obstacles; the campus is full of surprises! 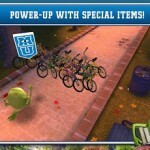 Upgrade to the AD-FREE, FULL VERSION of Monsters University for more features and prove you’re the ultimate scarer! · Get 2 games in 1 app with more Scare Games to come in future updates! · Can’t get enough of Archie? 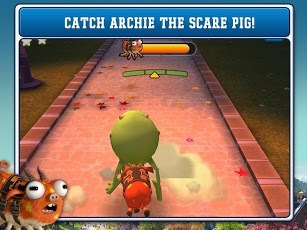 Chase Archie the Scare Pig in 30 exciting stages! · Compete in the first scare game event of the year in the other game, Toxicity Challenge! 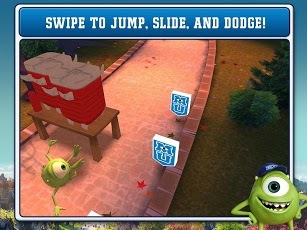 · Play as 3 of your favorite Monsters: Mike, Sulley, and Squishy. · Enjoy the game ad-free! Remember to check out “Monsters University” in a theater near you; check your local listings for showtimes!